Years before the ubiquitous “Got Milk?” ad campaign there was a long-running campaign with the message: “Milk. It Does a Body Good.” But does it really? 1. Dairy contains nutrients like calcium, vitamin D and potassium that are important for bone health and blood pressure. 2. Milk is high in protein. Dairy contains all 20 amino acids, similar to red meat. Protein is a necessary part of a healthy diet and may help reduce your risk of cardiovascular disease, type 2 diabetes and other diseases. 3. One of the two main proteins in milk, whey is a high-quality protein and is often used in protein powders and products. Studies show that dairy consumption improves bone density and reduces bone loss. 4. Dairy intake may help prevent osteoporosis and hypertension in the elderly. 5. Satisfaction and taste. This isn’t a nutrition fact, but dairy can truly take a meal to the next level: Think about what cheese does to pizza and what butter does for, well, any dish! 6. The protein in dairy helps you feel more satiated, potentially lessening the desire to snack on unhealthy, high-sugar alternatives between meals. 1. Lactose intolerance affects 25 percent of Americans. Symptoms include diarrhea, nausea, cramps, bloating and gas, usually within 30 minutes of eating or drinking dairy. If you regularly experience any of these symptoms after eating dairy, you might try cutting it out or use a lactose remedy like Lactaid. 2. Ice cream, cheese, pizza, heavy cream all are high in saturated fat, and when eaten in excess can result in weight gain. 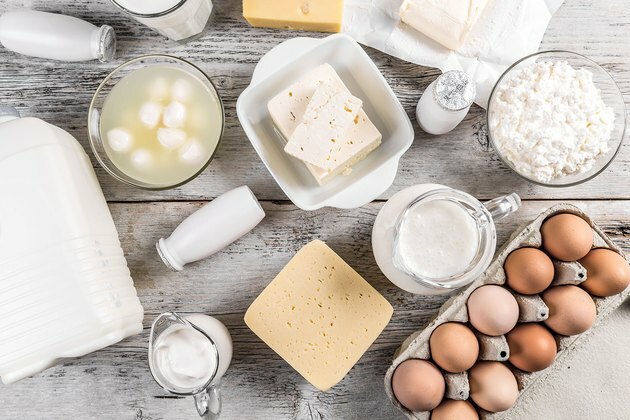 Studies now show that eating a moderate amount of saturated fat isn’t bad for you, but if you’re trying to lose weight, cutting out dairy could go a long way in helping you reach your goals. 3. Dairy enhances your body’s mucus production. Casein, one of the main proteins in milk, promotes the formation of mucus, which may be why many people cut out dairy when they’re sick and congested. However, despite anecdotal evidence about the link between dairy and congestion, there still isn’t much scientific evidence to back it up. 4. 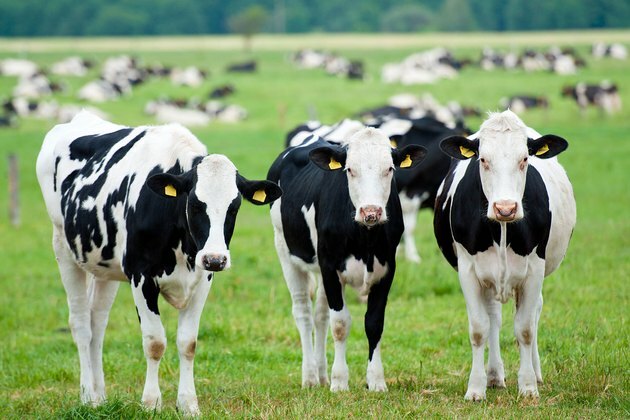 Dairy farms have a significant impact on the environment. There’s a growing list of environmental issues associated with them, like greenhouse-gas emissions, contamination of local water sources and unsustainable farming methods that affect ecologically important land. 5. Milk contains the growth hormone IGF-1 (insulin-like growth factor), which is necessary for growth in children, but it has also been linked to acne and prostate and breast cancer. 6. Dairy cows are pregnant almost year-round, which means the cows themselves have high levels of estrogen that's passed on in their milk. Elevated estrogen levels have been linked to hormone-dependent cancers like prostate and breast cancer. 7. Consuming too much dairy may actually reduce your bone strength. Dairy is high in retinol (vitamin A), which in high amounts can weaken bones. So, What's the Final Verdict on Drinking Milk? Do think milk is part of a healthy diet? Do you drink milk? If not, why not? Have you ever experienced a reaction to dairy or milk? Leave a comment below and let us know. Jennifer Wang is the founder and CEO of The Tasteful Pantry, a healthy lifestyle company and blog that provides advice, product reviews and resources for healthy and mindful living, with a special emphasis on “free-from” living. Jennifer is also a Spinning instructor and meditation instructor in Los Angeles. Connect with Jennifer and The Tasteful Pantry on Facebook, Twitter, Pinterest and Instagram.